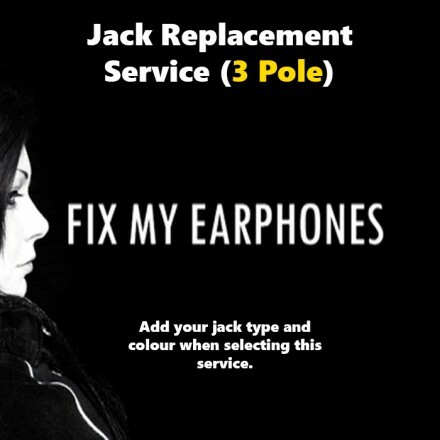 Audio Technica 3 Pole Jack Replacement For Earphones Visit Fix My Headphones Today Includes 3 Months Warranty & Free Return Postage! See Below For Help On What Jack You Need. 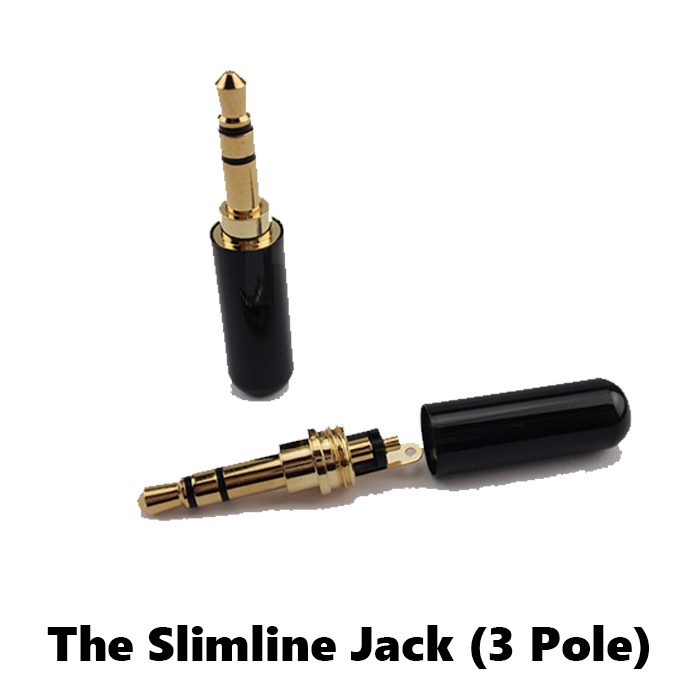 These 3.5mm 3 Pole Gold Plated Jacks are slightly smaller than usual and have a nice look about them. The Jacks themselves have no cable protector so we add tubing to the top of the jack, this usually matches the colour of the jack or is close to it. The casing is a glossed stylish metal shiny. 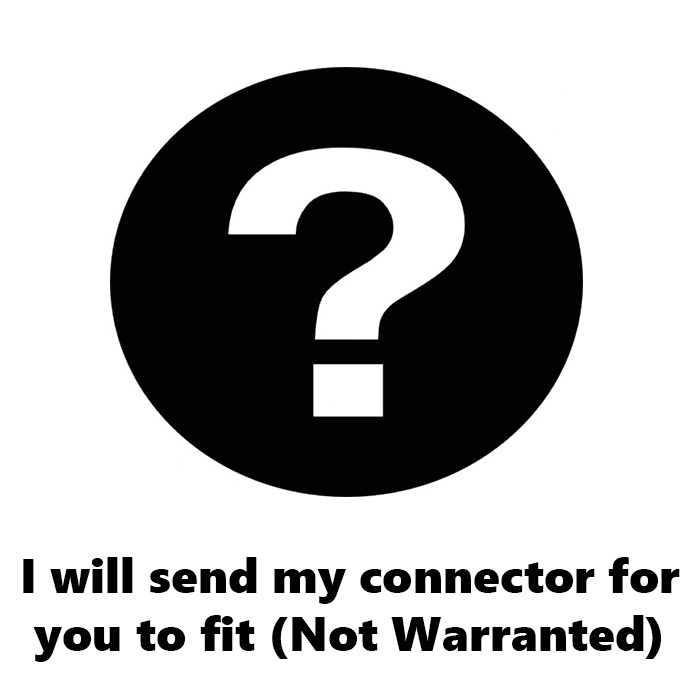 Harsh and rigorous abuse with these jacks could result in wear and tear severing the cable without a protector so it is important to take care and not to pull or bend the cable where the tubing is fitted. Overall these Jacks are of reasonably good quality and a great choice when selecting your replacement due to their slim design. The slimline is also available as a 2.5mm jack in all colours, so be sure to select this when using the options to order. These jacks can be selected to accept cables from 2.0 to 4.5 mm tubing is added for the smaller diameter size. The Slimline is available as a 3 pole and a 4 pole jack and in many different colours. Ideal for Headphones and Earphones. 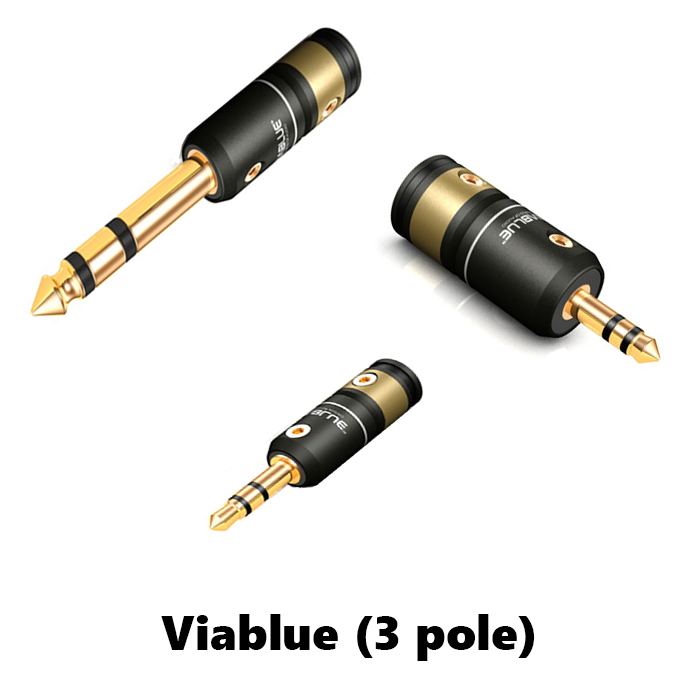 The right angle is a very nice looking Gold Plated 3.5mm 3 Pole Black & Gold Right Angled Jack but not as small as the slimline. These Jacks can with-stand a fair bit of abuse and we rate these highly, they are of great quality and have excellent durability for the cost. We have repaired many set's of headphones and earphone's too with these jacks and we find them an truly excellent choice when selecting your replacement, we say they are the most reliable jacks for the long term due to the internal wiring split down 2 sections to avoid any contact with the other channels, these jacks also grip the cable nicely to withstand pulls with their chuck style cable relief. We only fit 2 types of right angles currently, the Neutrik and the Standard. The Neutrik has black housing and gold plated jack and more reliable and less block in size than that of the Standard nickel plated jack. 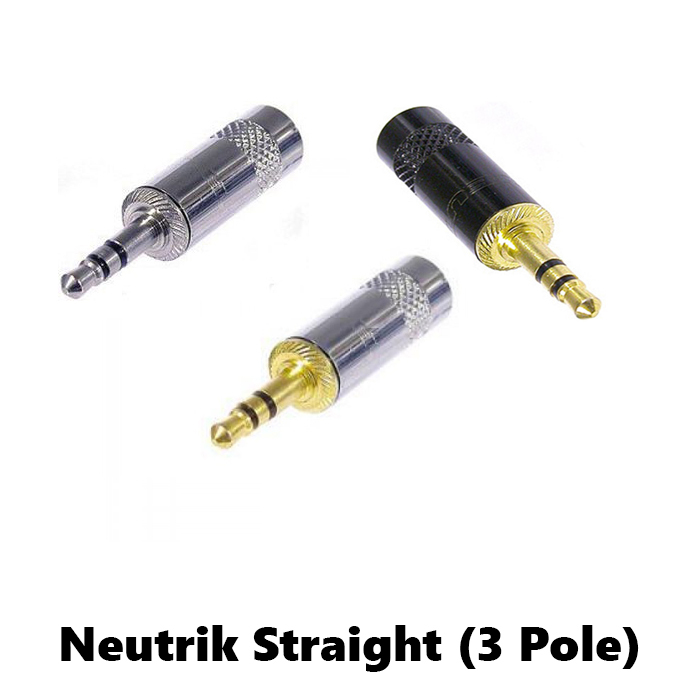 Unfortunately Neutrik only do the right angled jack as a 3 pole jack whereas the standard is available as a 4 pole jack. 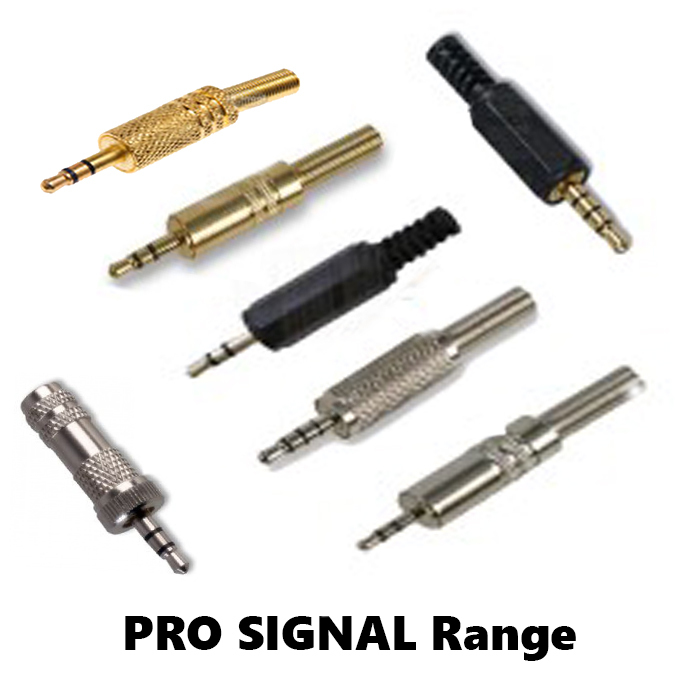 Both types of jack accept cables from 2.0 to 4.5 mm. Ideal for Headphones and Earphones. 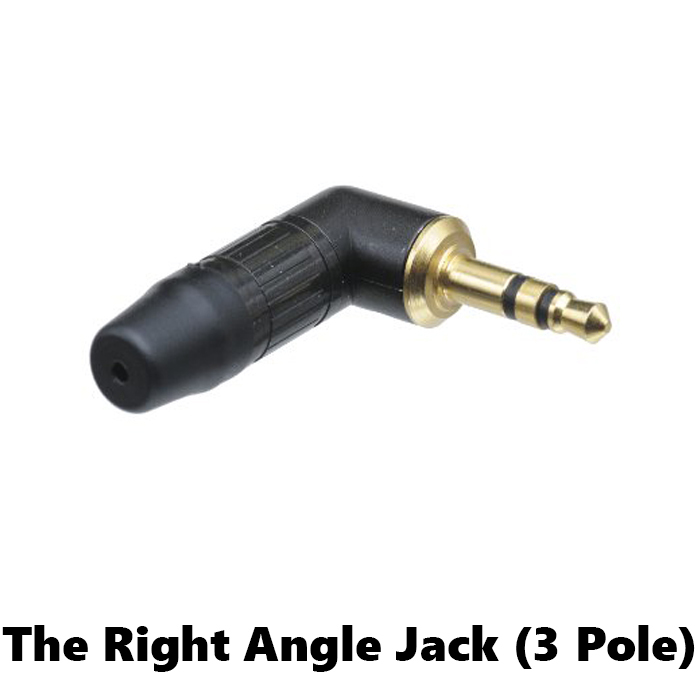 The Neutrik right angled jack is available here in black only.